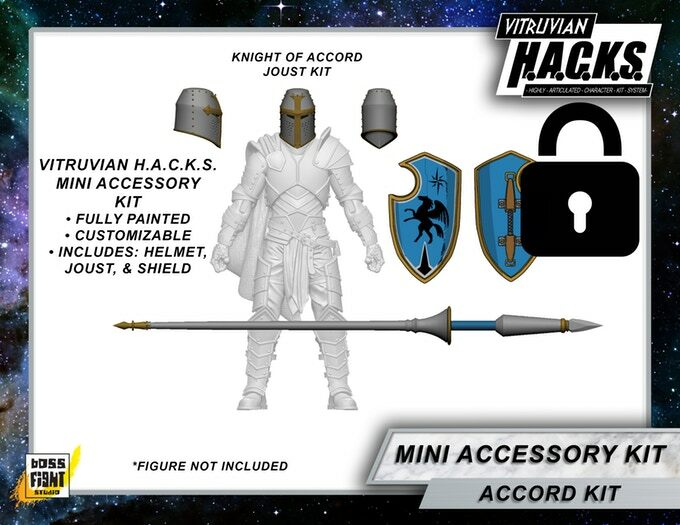 The much anticipated Kickstarter for the upcoming Vitruvian H.A.C.K.S. 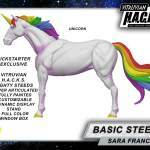 1:18 Articulated Horses by Boss Fight Studio has gone live. 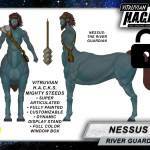 The project has so much potential with items like the Basic Steed and Unicorns all the way up to Centaurs! Look at all those awesome riders! I hear an all in calling my name. I have a couple of the World Peacekeepers Horses and they get the job done but do not have any of the options these do. 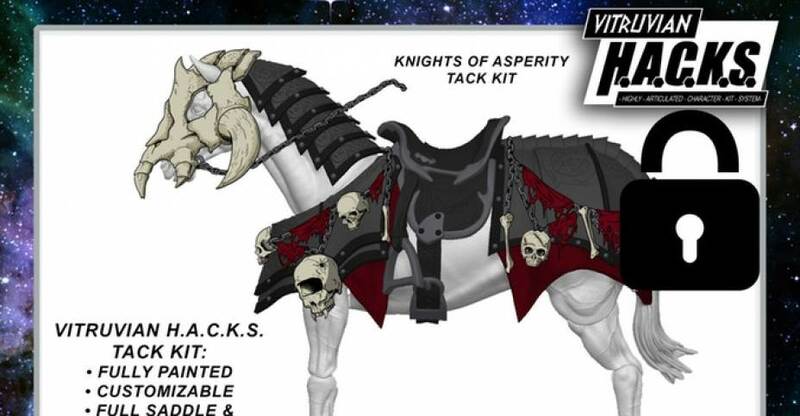 Looking at this just now I started thinking it would be great to have a fully poseable skeleton horse. 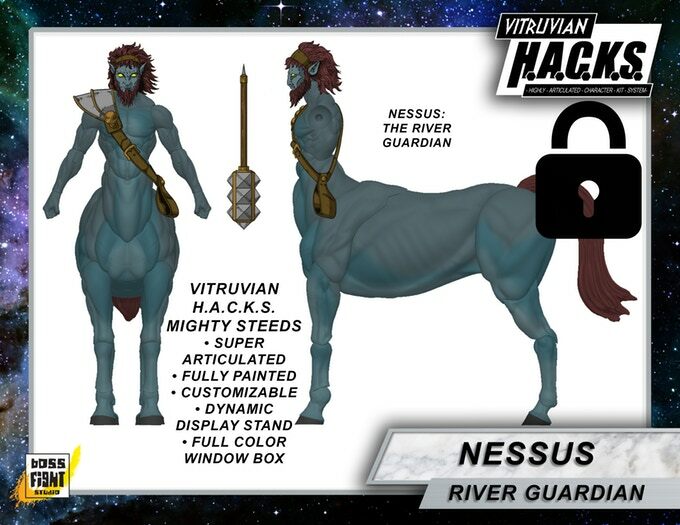 im getting that Centaur for sure. im a sagittarius so its perfect. What size figures do these work for? I was hoping for some Japanese horse armor. 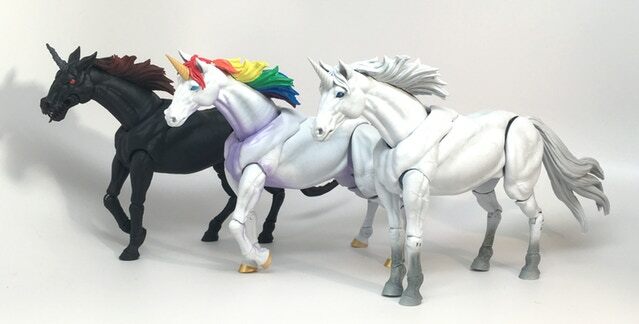 I want to remake the TMNT movie III/2012 Usagi wave horses in 3.75 scale. What? 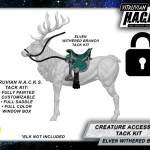 No pic of the Palomino that unlocks at $140,000? How does this work? 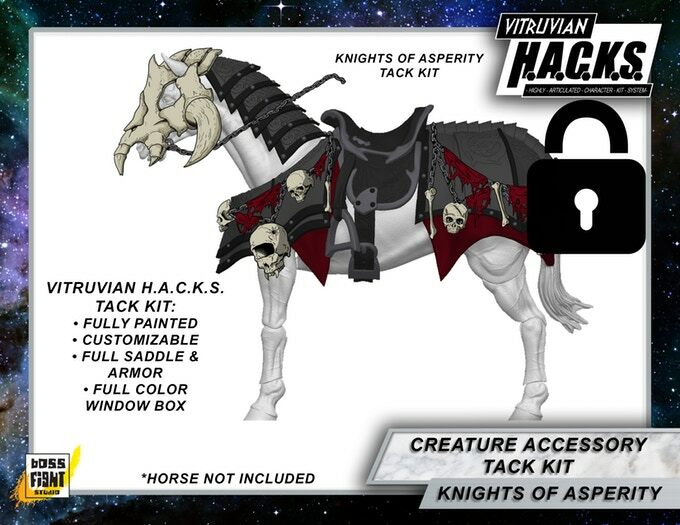 So, if I pledge $500 for "All-In" and only a few of the many possible horses get made, I'm $500 in the hole, get like maybe 7 or so horses, and then am stuck with a credit for the remainder to buy other Boss Fight stuff? Look at what you want, compare that to the best pledge level for what you want, buy individual add-ons as needed to fill in any gaps. The WW2 Kickstarter exploded in the first 2 weeks easily making the basic funding goal, slowed down in the middle, then had a final big push at the end. This seems to be the pattern that is evolving. If you look at the campaign page, they clarified what various pledges get you and added graphs to help people visualize it. 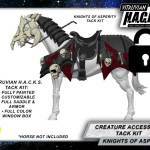 For the All-I pledge level - "Receive one of every unlocked item or choose 8 steeds, 12 tack kits, 6 gear kits from the unlocked items... 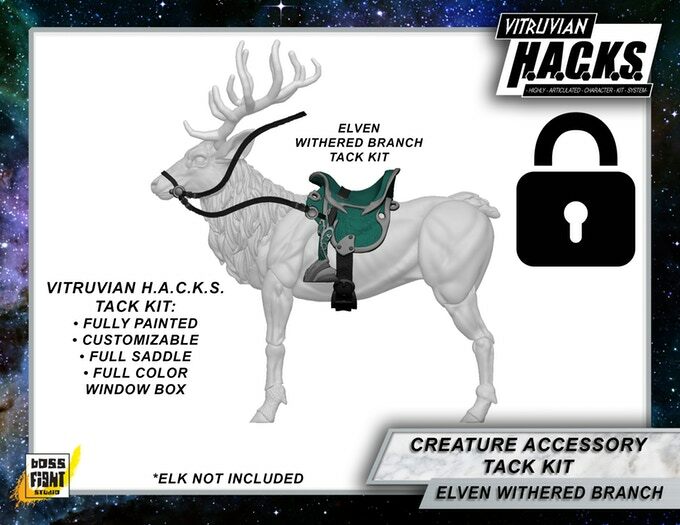 If we reach stretch goals beyond what is pictured here, the number of items you will be able to choose will increase." 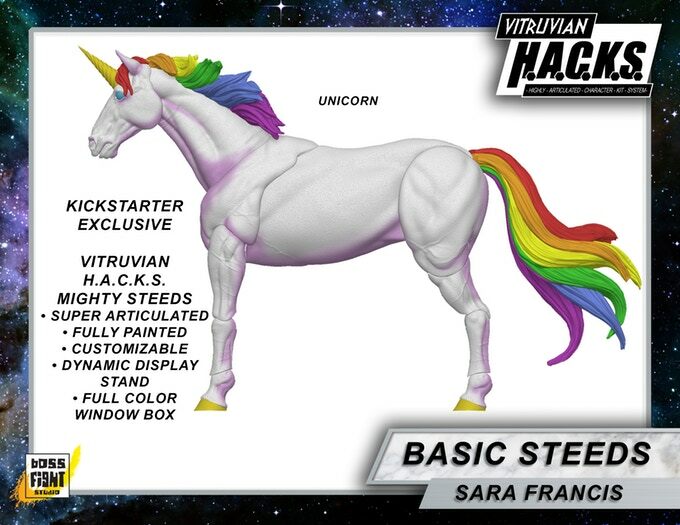 If these ponies were 1:12 or 1:6 my check would be in the mail. 1:18 is just an oddball scale. Imagine the cost at that scale!!! Dam! I wouldn't call it "oddball." That's just an odd choice of word. 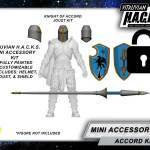 1:18 (3.75") action figures dominated the landscape for decades and the Star Wars 1:18 vintage line is seeing a resurgence this year. 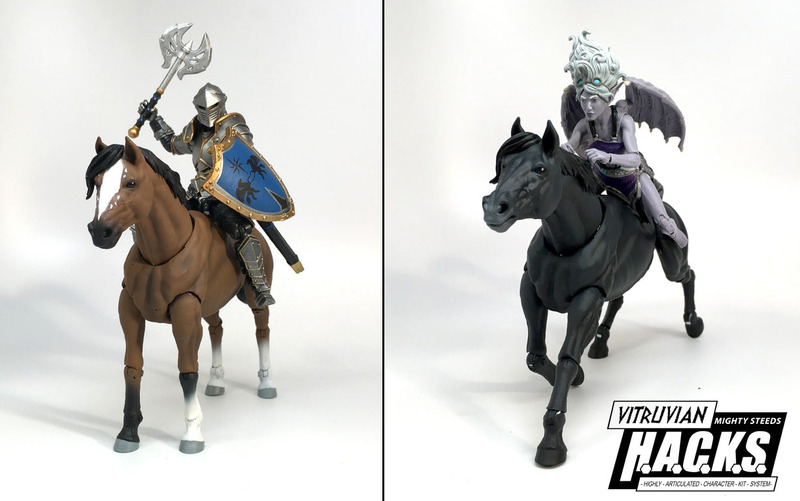 Sure, 1:12 and 1:6 are definitely more popular now, but there's nothing strange about 1:18 figures or horses. Now, if these were something like 1:15 scale, then I'd agree completely. That is exactly what I have been saying for YEARS!